Ask Me Anything–26 Years Ago Today! Please get rid of Geoff Fox. In my opinion, he is boring, loud, too loquacious and gives us information, ad nauseum, that we don’t need. Let him watch Channels 3 and 30 to get an idea of good weather presentation. I’m currently answering all your questions. Read more about it here. Amazingly Tony it was 26 years ago today! 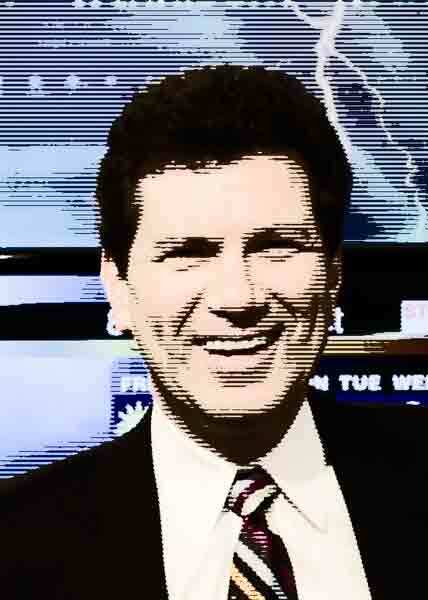 I began at WTNH on May 21, 1984. I replaced (the spectacularly beautiful and wonderfully warm) Beverly Johnson who went to San Francisco and later died tragically. I was 33 then. That means I am now… old. Luckily I’m immature for my age. In 1984 I worked in weather with Linda Church and Bruce McFarland. Linda’s at Channel 11 in New York where they should kiss the ground she walks on. She is great on-the-air. I have no idea where Bruce went. He vanished. Nice guy. I have been on-air at News 8 longer than anyone else there. I think I’m the all time record holder. Tony, as nice as your email is, I also get stuff like this from time-to-time. The guy sent the email directly to me! What a jerk. OK–idiot, not jerk. Whatever. The truth is not everyone is going to like you. And if like me you’re “high concept talent” people will form an opinion. I’m not sure I had mentors as in someone to take me under their wing. I was already 33 and had been on-air in radio and TV for 15 years. My ‘act’ was pretty well formed. I can tell you our short lived anchor John Lindsay was responsible for me stopping smoking! Back then you could smoke in the station and many people did. We used old film cans as ashtrays! John, Bob Picozzi and I sat on the set for a wide shot when the news began. As we waited I chatted with John and told him what I was doing about my smoking. “That won’t work,” he said. I was puzzled. He proceeded to tell me how I’d be back to my normal consumption in a week or two. That made a lot of sense. When I walked into the condo that night I slammed my pack of Lucky Strike filters on the counter, turned to Helaine and said, “I quit.” She thought I was bailing from the marriage! I have never smoked another cigarette. Helaine was incredibly supportive through the first few months. She even returned an unused carton to Stop and Shop! They weren’t mentors, but Al Terzi and Diane Smith were probably the most career helpful to me. They understood my on-air style needed support from my co-anchors. Both of them, more than anyone else back then, listened to my every word and laughed whenever they thought I was telling a joke. Seriously, Al and Diane’s laughter often sold a line I’d delivered. They made me funny. I never asked either to do that, but they understood viscerally. I miss having both of them in my life on a daily basis. I will tell you two people who tried to help my career during the 80s. One was Al Roker, then working at Channel 4. The other was Spencer Christian, then at Good Morning America. Both were gracious and selfless–truly class acts. I would crawl over broken glass for either. Love the answers you are giving to these questions, Geoff. It shows us glimmers into your life. And you are so right about Spencer Christian. He was always a class act even back to his day before GMA in local media in NY (when he did SPORTS of all things). Diane Smith did really cool features. (Channel 8 was always on at home when I was growing up.) I happened to be at a bookstore in Madison once and she was doing a book signing. I bought the book for a friend who was moving to CT and she was extra gracious when she wrote the inscription. Oh, Geoff! I always wondered what happened to Beverly Johnnson! I remember when you joined the 8 family and remember her leaving. I am really very sad to hear she’s no longer with us. I also recall another young reporter at your station that was killed during a bad snow storm? Maybe in 1993 or so? I can’t recall her name but she was just a lovely woman. It was great to hear of the people who helped foster your career and sad to think of those who have gone on. Thanks for the memories. That was Ellen Abrams. She was jogging in Ellington after a snowfall when she was hit by a car. It was among our saddest moments at the TV station. Thanks for keeping her in my memory. Geoff…What is your relationship with Mel Goldstein? Thank you for your forecasts, your blog posts, and the answers to all of these questions. Your dedication makes for informative viewing and interesting reading. I first started watching when you were on with Ann as a solo anchor; maybe 10-12 years ago, I think. The newscasts came across as simple, direct, informative, very professional. The interaction between you and Ann seemed very relaxed and friendly. I have the same pet peeve with your forecasts that I have with just about every TV weathercaster I’ve watched. It’s very minor; I’ll save it for another time. Maybe. I cannot find anything on New Haven meteorologist Beverly Johnson (an all too common name on google, making things more complicated). When we moved from CT in 1984 to San Francisco, so did Beverly. Although we did not know her, we considered her part of our “family” since she moved to the same town we did in the same year and it was like she moved “with us” even though it was just a coincidence. She was a real professional, and we were very saddened when she died. I am actually writing a little tribute to her in my blog. Does anyone have any information on her (a bio, pics etc?). I can’t find ANYTHING online. Thanks. Next Next post: Ask Me Anything–Are You Related To Dr. Mel?